All Woodville homes currently listed for sale in Woodville as of 04/22/2019 are shown below. You can change the search criteria at any time by pressing the 'Change Search' button below. If you have any questions or you would like more information about any Woodville homes for sale or other Woodville real estate, please contact us and one of our knowledgeable Woodville REALTORS® would be pleased to assist you. "STONEHAVEN on 158 Acres. Private Retreat with charming 3 BR stone residence, c. 1791, with geothermal heating & cooling. 3 level stone cottage, 3 BR log cabin w/gourmet kitchen. Two level barn w/3 stalls and tack room on main level and a rustic gathering room on second level. Adjacent to the barn is a 3 car garage.Miles of beautiful trails-Tremendous ride-out and hiking potential." "Nestled in 40 acres of rolling board-fenced pastures, Five Forks extends its warm country welcome as it has for generations. The ca 1800, 3 bd/3ba farmhouse is complemented by stables, sheds, a hangar w/heli-pad, & a cottage overlooking the pond. 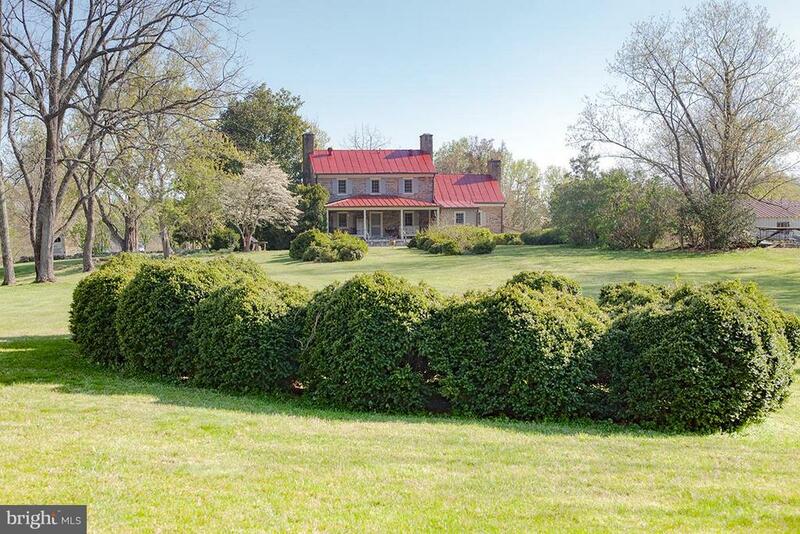 Very private, with fantastic ride-out potential, it is, yet, close to Little Washington and all the wonderful amenities that Rappahannock offers." 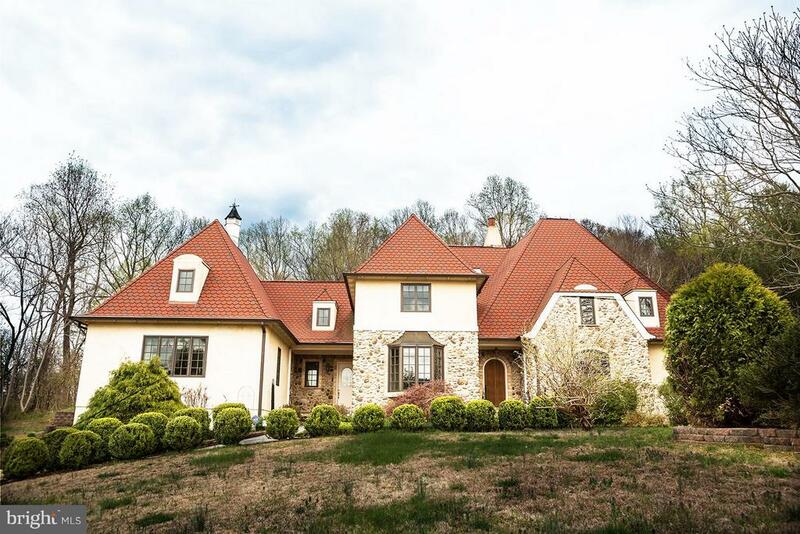 "Amazing French Provincial Estate Home situated on the hill to take in the spanning Blue Ridge Mtns and breathtaking sunsets. Perfect blend of luxury with country charm. Open floor plan with huge formal dining room, grand kitchen, towering fireplace, exposed beams and his and her Master bath. Wonderful outdoor living space to enjoy the privacy and views plus a pond. Potential for B&B." 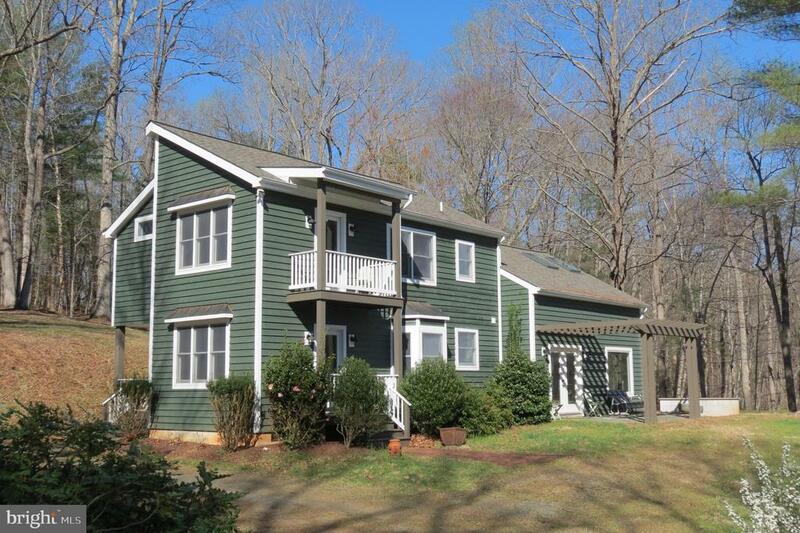 "Most attractive remodel of a solid older home near Washington VA, now a great home for entertaining or just relaxing in the country. Completely new kitchen with excellent appliances will please the chef. The spacious dining room (former living room) allows seating as needed for fun dinners with friends or family. A kitchen pass through over a living room bar keeps chefs in touch with conversations before dinner. Good spaces for art and sculptures, and the living room opens to a stone patio for lunches and and evenings under a multitude of star in Rappahannock's dark skies. Large two room master suite offers sitting room or study plus a balcony for morning coffee and bird calls or evening stars with a bit of music and a glass of wine. Attractive master bath with conveniently separate shower and tub. A SECOND bedroom suite of two rooms offers similar accommodation for upstairs library, television, study or extra beds, plus there is a third bedroom for overflow. The additional bedrooms share a nice upper hall bath. Lovely walks along the nearby Rush River or put in your kayak at the nearby bridge for a great run. Perfect Lock & Leave getaway or full time home with good storage. Most furniture can convey!" 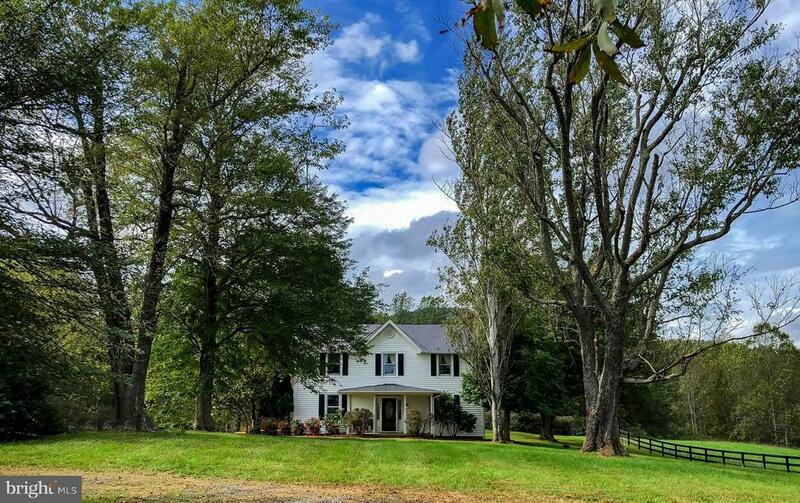 "WHAT A FIND IN RAPPAHANNOCK COUNTY AT A GREAT PRICE!! - HOME IN GOOD CONDITIONAND MOVE IN READY, NEW PAINT, NEW FURNACE, NEW KITCHEN FLOOR. 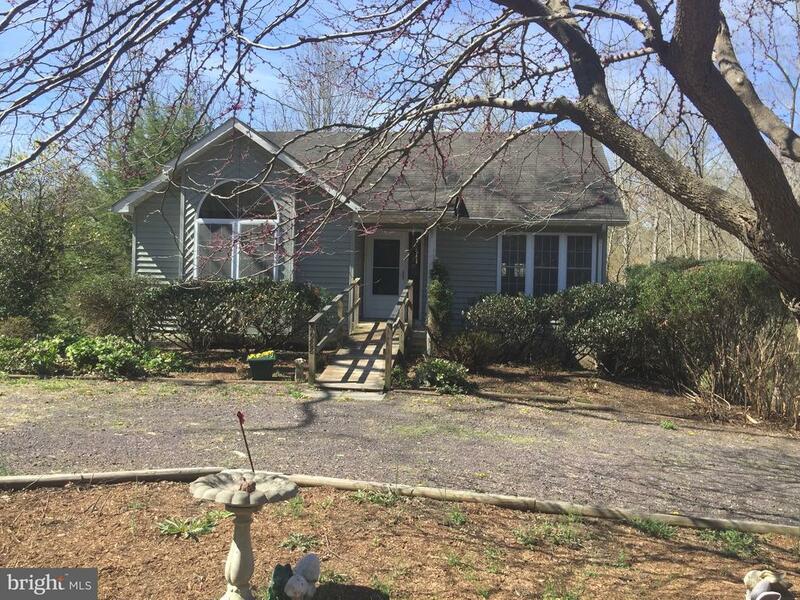 LOCATED ON ALMOST ONE ACRE WITH PRETTY VIEWS FROM THE REAR DECK. FULLY FINISHED BASEMENT WITH FULL BATH & LOTS OF WINDOWS - POTENTIAL BR IN BASEMENT. THE DRAIN FIELD IS A 3 BEDROOM SYSTEM. STORAGE SHED INCLUDED."